Please join us for an Open House in the Printmaking Department. 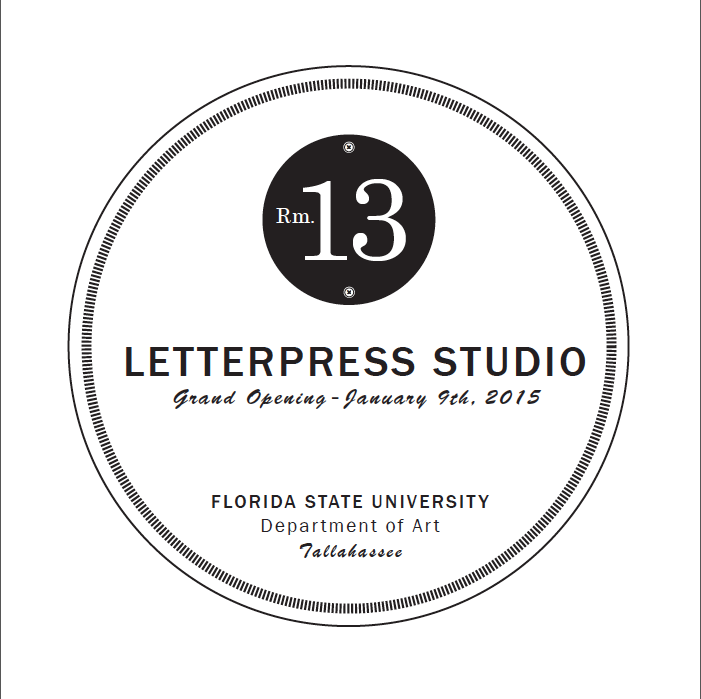 The event will celebrate the grand opening of our new Letterpress Studio, Room 13. There will be a silent auction with a wonderful selection of student prints available for purchase. All proceeds will benefit the FSU Print Club and help get students to Knoxville for the Southern Graphics Conference this spring. If you still haven’t made it up the hill to see our wonderful studios, now is your chance to come check it out! Join us on Friday to see our new Vandercook presses in action! Bid on unique prints! Enjoy light fare and libations!